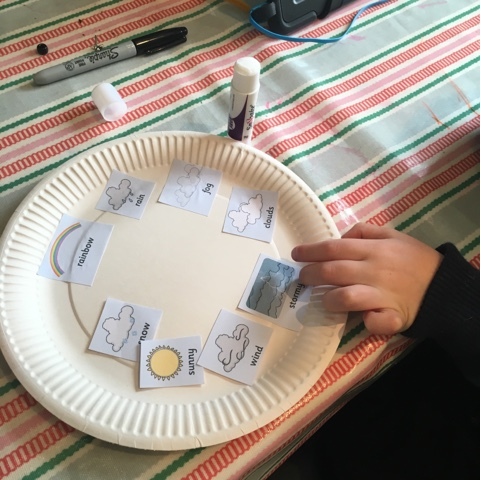 For some time I've been looking at making a simple weather chart for T and this afternoon, with half an hour spare we got to work. Here's what we did incase you'd like to make one for yourself! 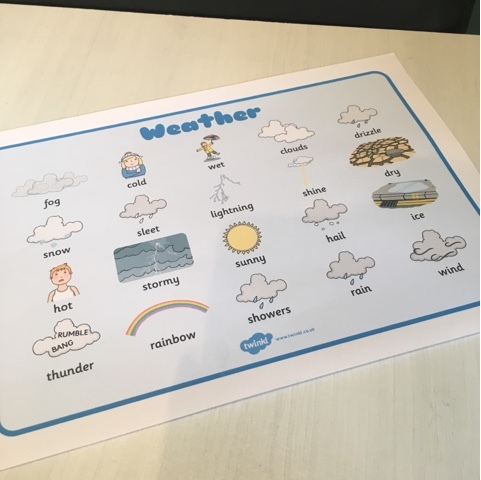 I used this free weather word mat from Twinkl and cut out the weather icons we wanted to use although you could drawn your own pictures. 1. 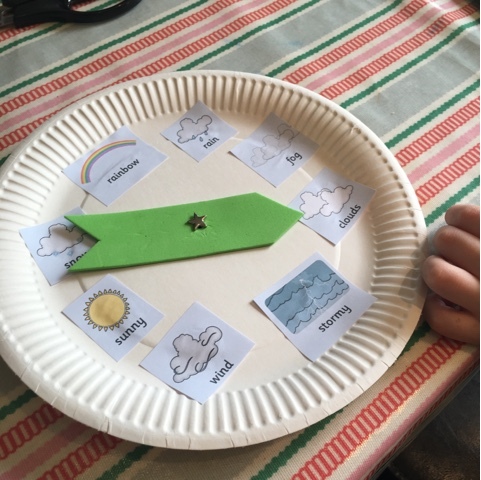 Cut out your images and stick to the paper plate or drawn your images directly onto the plate. 2. 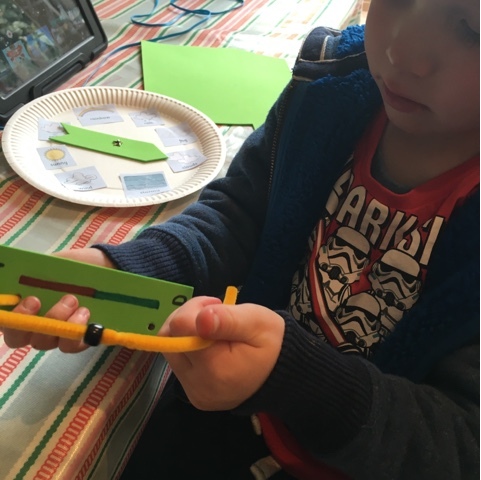 Cut out a simple arrow shape from craft foam and punch a hole, attach to the centre of the plate using the split pin. 3. Cut out a rectangle of craft foam, punch a hole at either end. 4. Draw a red line upwards and write the word 'HOT' draw a blue line down and write the word 'COLD'. 5. 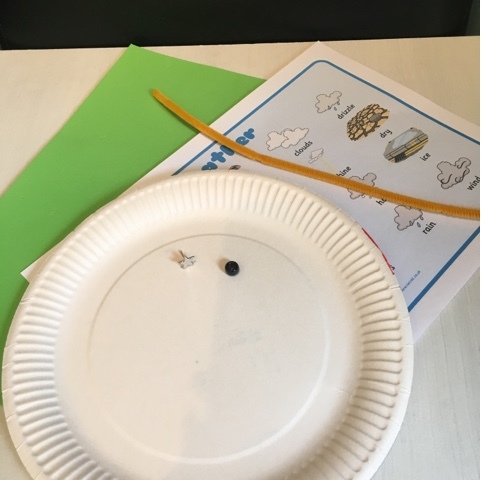 Thread the bead onto the pipe cleaner and thread through the holes on the foam temperature indicator. 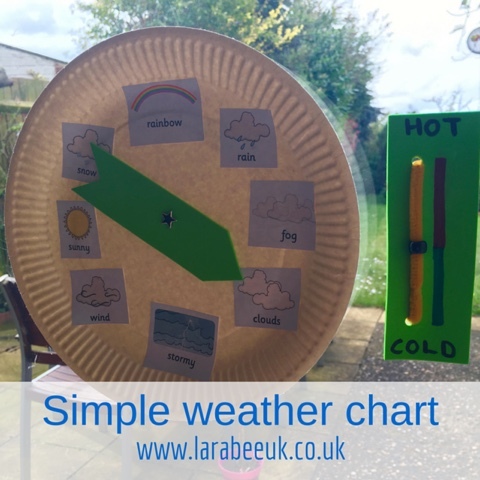 And that's it, you now have a nice simple weather chart for your little one to change each day. Simple but lovely idea - those split pins are brilliant for lots of different things aren't they! Aaaah, split pins! Yes, a real throw back! 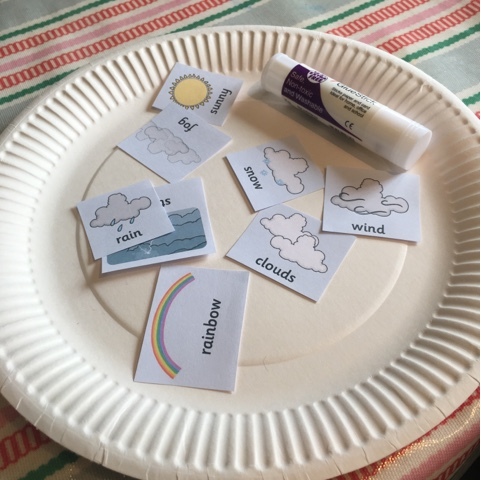 This is a great idea, and as I've always wanted to be one of those craft type mums, and my children are actually really starting to take a proper interest in crafting now, I will give this a go!! 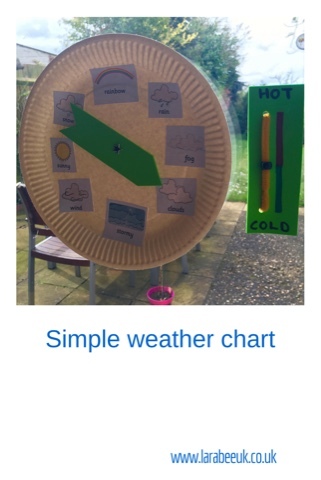 I love the hot and cold gauge - brilliant idea! |#LETS LEARN|announcing our new linky!